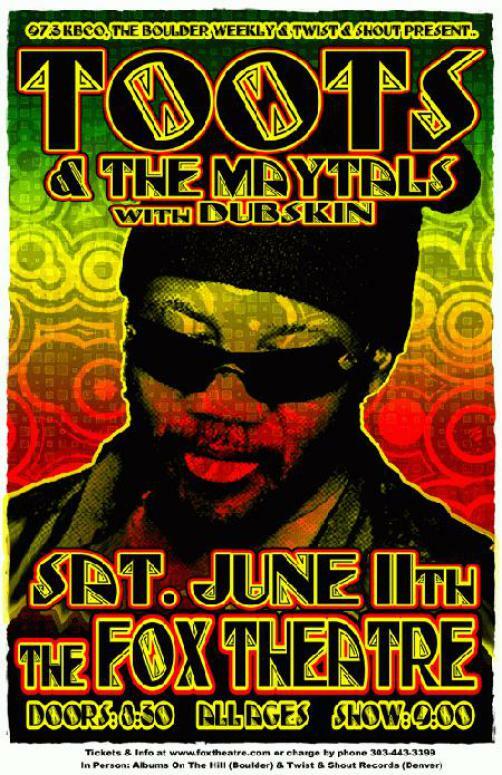 Concert poster for Toots and the Maytals at The Fox Theatre in Boulder, CO in 2011. 11x17 card stock. Artwork by Mark Serlo.